There is an article pointed out, India pips China, Bangladesh in apparel exports growth to US for Jan-Sept 2014. And uses a series of data to show that China is losing its position of the largest apparel exporter. With China and Bangladesh becoming costlier and unviable day-by-day, India is gradually garnering its share in apparel exports to the US. India saw a rise in apparel exports to the US by 7.5% at 745 million square metres equivalent (msme) for the period January-September 2014 over the corresponding period last year, as per the latest data by the US Department of Commerce's Office of Textile and Apparel (OTEXA). For the data, I believe that is probably true, but this is only garment export quotas for the United States, and very importantly, the Chinese average annual 13% to 14% of garment exports is US Department of Commerce's Office of Textile and Apparel unable statistics. Apparel industry is will never be eliminated, and the market share will increase every year. Another very important point is the center of world clothing consumption has gradually shifted from the US to the world. In recent years, China's total garment exports are increasing, although the proportion of exports to the United States in the fall (note that the ratio rather than the total), but also shows market share in other countries is increasing, mainly in Europe, Japan and Korea . Although the Chinese garment industry faces a number of difficulties facing increased production costs, but all the signs indicate that China can still maintain its position as the world's largest apparel exporter. 1: China has Third World country's most advanced equipment and sewing techniques. 2: China has a complete industrial chain, from raw materials grown into garment exports, can be completely done independently. 3: Chinese clothing exports many kinds, covering almost all categories. 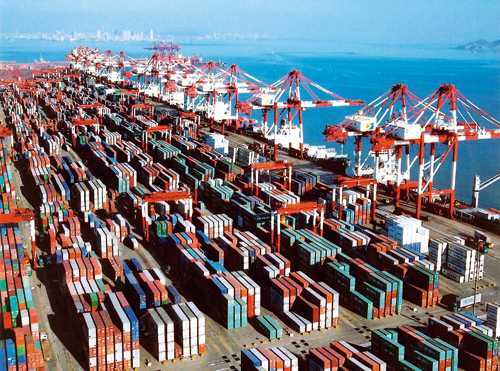 4: China continues to open, customs and ports more relaxed policy, will be more promotion of apparel exports. In contrast, India and Bangladesh, garment manufacturers in both countries mainly in the production of low-grade garments, although the total amount of exports is increasing, but not long increase exports, after the low-end market saturation, will quickly fade. Although China's garment manufacturers are also part of the export of low-grade garments, but note that it is also a growing number of high-end clothing brand to set up production bases in China, and China's own high-end clothing brand also frequently landed in the US and Europe, this ensures Chinese garment manufacturing industry in the craft will continue to lead. In terms of value in US dollars, Vietnam, India, China and Bangladesh posted apparel exports growth to the US of 15.63% ($ 6.9 billion), 5.64% ($ 2.6 billion), 0.26% ($ 22.4 billion), and -2.12% ($ 3.78 billion), respectively. This is the article's original words, the authors made a serious mistake, although the proportion of India's exports increased by 15.63%, but the amount is far behind China's $ 22.4billion. According to a simple increase the proportion of export ratio to determine the trend of China's garment industry is one-sided, not rigorous. Overall, China will continue to maintain its leading position in garment exports.